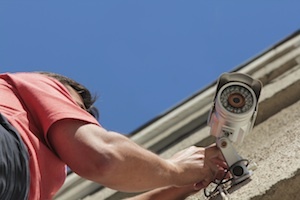 CCTV installation is, nine times out of ten, not a straightforward job. Every site is different and every customer has a different set of requirements. In many circumstances remote monitoring is recommended for enhanced security with 24/7 (or when required) surveillance from professionals. And in those circumstances there are a number of factors installers must keep in mind when completing a new installation or an upgrade. More often than not there is a lead-time in place for new or updated CCTV systems to be connected to a remote monitoring station. At Farsight, for example, we require information to be sent across 24 hours before you arrive on site to connect the security systems to the remote monitoring station. It’s important you’re aware of these timelines and deadlines and that the customer is also kept up to date. They will need to provide you with information, so making them aware of the timings will help keep everything running to schedule. Every remote monitoring station and alarm receiving centre has a different commissioning process. As we’ve already mentioned, information often needs to be sent to the station at least 24 hours before you arrive on site to commission a CCTV system. With this in mind, it’s always worth familiarising yourself with the requirements of the remote monitoring station well before you plan to commission the site. It can often be simple things, such as compatibility of equipment with the remote monitoring station’s software, that can cause issues – but which could have been addressed in advance. We’ve worked hard to make our commissioning process as streamlined and stress-free as possible. Find out more about our commissioning process. It’s a basic requirement of security systems. CCTV cameras should be capturing footage from key areas of a site – not leaving blind spots in vulnerable areas where an intrusion could go undetected. Check for blind spots by working closely with the remote monitoring station. Whilst you’re on site, commissioning the security system, do a walk test with an operator based at the remote monitoring station. This is a simple test, which involves you walking around a site and the operator confirming whether or not they are able to see you using footage from the CCTV cameras. If the operator cannot see you, you’ve detected a blind spot and the security system may need to be tweaked. It’s one of the big challenges of being a security systems installer: you consistently encounter new technology. As a result you need to stay up to speed with how the technology works and it’s often not as simple as reading a manual – as many might expect. Different technology works differently depending to sites. Beyond that you may have to consider integrating new technology – either hardware or software – with legacy systems. This throws up a whole new range of hurdles you may have to overcome. When you’re on site you will want to deal with technical issues quickly. You don’t want to be stood on the phone, on hold, trying to find out why a camera won’t connect. Often remote monitoring stations and alarm receiving centres will be able to offer technical support to installers. We certainly do here at Farsight. We have created numerous ‘crib sheets’ that run through the installation and common technical issues with a range of major security devices. Although the manufacturer can often help with technical issues too, it’s always worth asking your chosen remote monitoring station first. 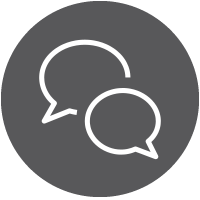 At Farsight we’ll always do our best to deal with your query quickly and endeavour to put you in contact with the same operator each time you call during an installation. It’s a simple but important step. Leaving CCTV cables exposed immediately makes the security system vulnerable. The cables could easily be tampered with, resulting in the site’s security as a whole being compromised. For outdoor CCTV, ensure cables are housed wherever possible. Any cables should be concealed and out of reach. It’s also important to note any other potential ‘weak spots’ for CCTV camera cables. For example, a PTZ camera’s cable must continuously flex during use – and frayed cable could mean serious downtime for a camera. Look at where the potential weak spots could be and choose a cable with a stranded wire core to help withstand against the panning and tilting movement of the camera. Have you tested the level of the CCTV cameras? We complete a 14 day soak test here at Farsight and during this period we often come across CCTV cameras that have been installed at a level that makes it difficult to identify individuals or makes it easy for cameras to be obscured. Similarly, have you considered how different conditions may affect the remote monitoring of CCTV cameras? For example, if the cameras are quite exposed, should you install shrouds too? Have you checked for nearby foliage that could easily obscure cameras? And are there any lights nearby that may make a difference to the quality of image from the cameras? Of course, our fault tracker will notify you of any detections triggered by the likes of foliage but prevention is always better than cure. If there is not a fault flagged up in the first place, then that is always the preferred option. The surveillance objectives of the customer should dictate what resolution is required for the CCTV cameras. Do they want to be able to identify individuals, recognise key features or simply monitor people coming and going? Or do they require number plate recognition? Make sure the equipment you install is capable of achieving these objectives, otherwise the remote monitoring station will not be able to capture the level of detail the customer requires. This Axis guide gives further detail on identification and recognition. Of course, illumination is also a factor in helping with recognition. You can find out more about what type of lighting to choose in our blog: Why security lighting makes all the difference. Pan, tilt and zoom cameras hugely enhance the ability of a remote monitoring and alarm receiving centre to remotely monitor a site. They allow operators to focus in on suspicious activity and even follow intruders as they navigate a site. However, for operators at the remote monitoring station to be able to view a quality image the PTZ cameras must not shake or wobble as the camera is instructed to move. Unstable PTZ cameras can result in blurred CCTV images, which may not be usable as evidence or may not let operators swiftly change the view of the cameras to assess the security threat. Check the stability of any PTZ cameras by instructing the remote monitoring station to test the pan and tilt functions. Extra tip: If PTZ cameras are not a viable option, perhaps they are too expensive or not suitable for a particular installation, it is worth considering multiple static cameras to cover all areas that may be at risk. Communicating clearly with the end-user, your customer, is key. Make sure you’ve worked to fully understand why they are installing or upgrading a CCTV system and ask them exactly what they hope to achieve. Where do people most often enter and leave the site? What would they consider to be unusual behaviour on their site? For example, would it be strange for individuals to enter the site before 9am or at weekends? Is there any access control in place or similar? Do they have any dedicated security personnel on site? A lot of the above will be covered off in the end-user remote site questionnaire that a remote monitoring station provides. However, it’s important you understand these requirements from the outset, allowing you to make the best recommendations on how to design a security system. 10. Have they had previous incidents? Always check with the customer if they’ve ever experienced a break-in or security breach in the past. This will give you insight into whether there are any particular ‘weak spots’ in their security and if the client feels they are at risk of similar incidents in the future, all of which helps you to put effective measures in place. Follow up any installation with a conversation with the customer. Make sure they’re aware of the regulations surrounding CCTV, for example that they must have a ‘CCTV in use’ sign displayed. 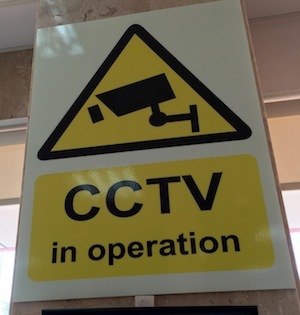 Here at Farsight we provide free CCTV signs, which include additional information to deter criminals. In addition, although you will have hopefully secured a maintenance contract following the installation or integration, it’s still important to communicate to the customer how they can look after their CCTV system too. A key step in the installation process is after-care; it can make all the difference to a site’s security. Have a read of and share our end-user security systems maintenance guide. Make sure you stay up to date with health and safety, CCTV regulations and standards, to ensure the installations you complete are fully compliant. Not only does this make the system compliant, but it inevitably makes it easier to monitor. It can be tricky to stay on top of what seems like an ever-changing field of regulations but this IFSEC guide is helpful and many other industry publishers and magazines have similar resources that are kept updated. Although these tips are focussed on the installation of remotely monitored CCTV systems there’s a huge amount of information freely available that offers further guidance to security installers. For example, the BSIA also have a whole host of information on installation best practice and regulations here.